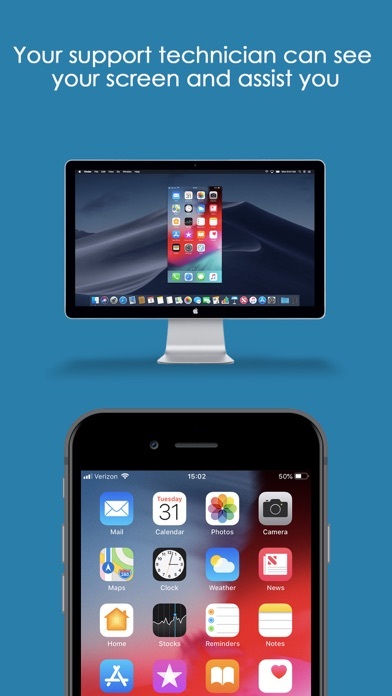 Get remote support for your iPhone/iPad from your remote technician! Users can real-time screen share to remote technician with a Splashtop On-Demand Support (SOS) account. Technician will be able to provide assistance to guide the user. Session connection is securely protected using industry standard encryption. Quick Guide: 1. Download and launch SOS app on your iPhone/iPad. 2. Share the 9-digit session code to your remote technician who has a Splashtop On-Demand Support (SOS) account. Only works in portrait mode. This only works in portrait mode. The Idevice sharing the “screen recording” session needs to rotate the device so that it is usable ate all. You have absolutely no control over what is happening on the screen, as you would expect. Instead you have to get the client to rotate their screen until things are right-side up and then you most talk them into doing everything because you have no control remotely. Very disappointed in this implementation as before it was usable and now, not so much.